These wraps were especially designed for you so that you would fall in love with each and every one of them as did we while in the process of creating them. Choose one of the following tortilla wraps to complete your masterpiece...Garlic & Herb, Sun-Dried Tomato, Spinach, Whole Wheat, or Plain Flour. 1. BALBOA WRAP ($8.25) Stuffed with marinated steak and grilled chicken, Portobelo mushrooms, roasted peppers, fresh mozzarella with our famous sun-dried tomato dressing. 2. "THE MICK" WRAP ($6.95) Egg whites, sauteed spinach, sliced turkey breast, roasted peppers and Swiss with your choice of wrap. 3. 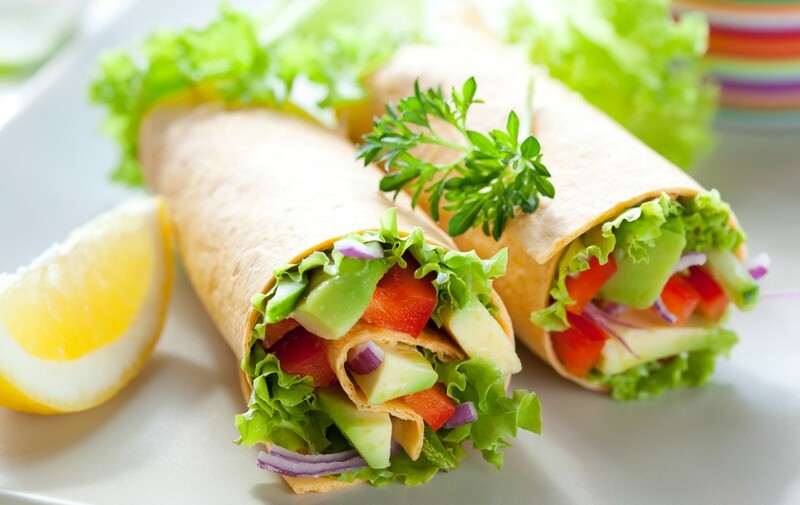 THE LIGHT DELIGHT WRAP ($6.95) An array of fresh sauteed veggies, alfalfa sprouts, avocado with a raspberry dressing. 4. VEGGIE WRAP ($6.95) Grilled Portobello mushrooms, zucchini, Veggies, roasted peppers and eggplant sauteed with garlic herb. 5. SWEET AND SOUR CHICKEN WRAP ($7.45) Sweet & Sour Chicken, lettuce, tomatoes, red onion, avocado, jack cheese & Vinagrette. 6. THAI CHICKEN WRAP ($6.95) Grilled Chicken, lettuce, sprouts, cucumbers, cilantro and spicy peanut sauce. 7. BBQ CHICKEN WRAP ($7.95) Chicken with corn, spicy red beans, fresh spinach, BBQ sauce and rice. 8. BUFFALO CHICKEN WRAP ($6.95) Spicy Buffalo Chicken strips with lettuce and chunky blue cheese. 9. CHICKEN CAESAR WRAP ($6.95) Our delicious Chicken Caesar salad and all the fixin's all wrapped up. 10. GUILT-FREE PHILLY WRAPS ($7.95) Strips of marinated flank steak, peppers and onions fused together with brown rice & low-fat American cheese. 11. "EL BURITTO LOCO" WRAP ($8.25) Jam packed with chicken and steak, brown rice, spicy beans, hot sauce, sour cream, melted jack and cheddar cheese. 12. STEAK WRAP ($8.25) Grilled Steak, sauteed onions, mushrooms, brown rice, and spinach all wrapped in a garlic and herb wrap. 13. CHICKEN TERIYAKI ($6.95) Chicken breast with our special sauce, assorted steamed veggies and brown rice. 14. CALIFORNIA WRAP ($6.95) Oven gold turkey, swiss, sprouts, avocado, lettuce, tomato, Honey Dijon dressing with your choice of wrap. 15. CAJUN CHICKEN WRAP ($6.95) Sliced Cajun Chicken Breast, roasted corn, black beans, pepper jack cheese, lettuce, tomatoes, and ranch dressing to cool the fire! With you choice of wrap. 16. MEDITERRANEAN BEEF WRAP ($6.95) Strips of beef with Mediterranean spices , lettuce, tomatoes, and tahini dressing. 17. PESTO WRAP ($6.95) Pesto Grilled Chicken, roasted peppers, provolone cheese and lettuce w/ our homemade pesto sauce. 18. 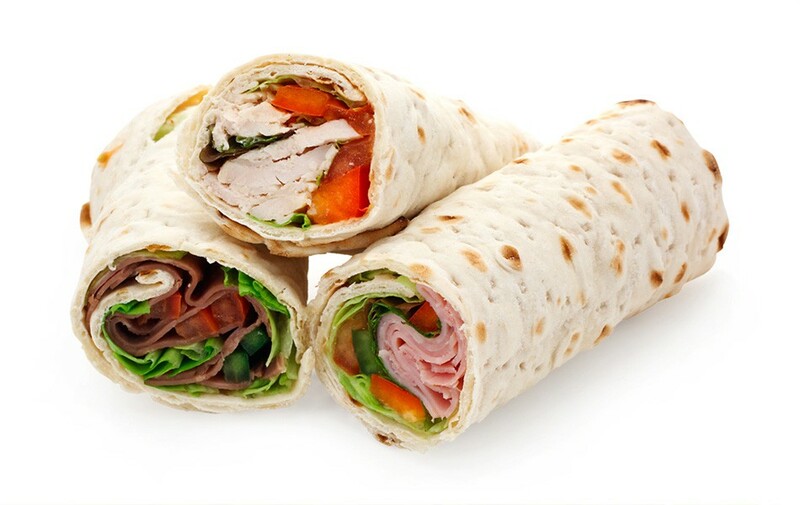 TURKEY OR CHICKEN CLUB WRAP ($6.95) Lettuce, tomato, turkey, bacon & lite mayo. 19. GYRO WRAP ($6.95) Strips of beef, lettuce, tomato, onions with tzatziki sauce. 20. CATCH OF THE DAY ($8.45) Shrimp Teriyaki, grilled vegetables in a garlic herb wrap. 21. ALBACORE TUNA WRAP ($7.95) Spicy marinated Albacore tuna, lettuce, tomato. 22. CLT WRAP ($6.95) Chicken, lettuce, tomato, alfalfa sprouts, avocado, swiss, dijon. 1. MOZZARELLA & TOMATO ($6.95) Fresh mozzarella, tomato, basil, & sun-dried tomato spread. 2. CHICKEN FAJITA ($6.95) Grilled chicken with salsa, caramelized onions, bell peppers & cheddar cheese. 3 . CHICKEN MEDITERRANEAN ($6.95) Lemon grilled chicken, feta cheese, sauteed spinach & olive tapenade. 4. TUNA MELT ($7.95) Tuna salad, cheddar cheese, lettuce & tomato. 5. BELLA TURKEY ($7.45) Turkey, fresh mozarella, grilled marinated mushrooms, roasted red peppers with our roasted garlic spread. 6. THE GARDEN ($6.95) Roasted eggplant, grilled zucchini, roasted peppers and provolone. 7. 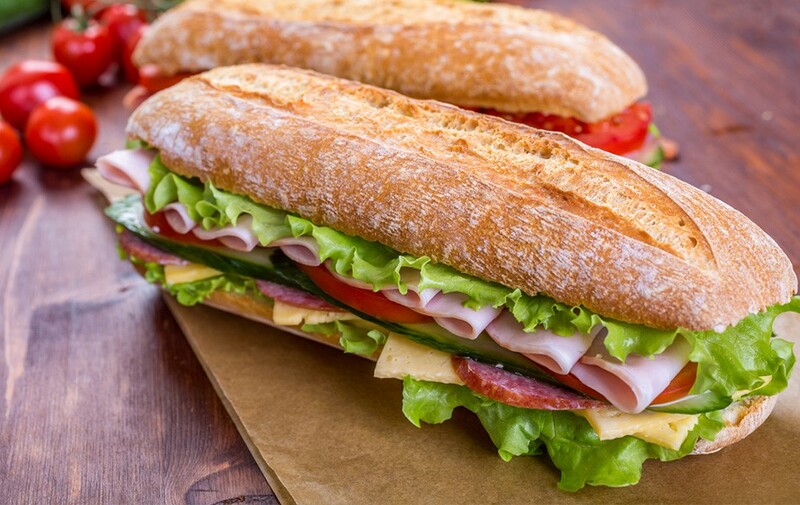 TURKEY MELT ($6.95) Fresh turkey, turkey bacon, lettuce, tomatoes & American cheese with our dijon mustard. 8. TURKEY BURGER ($6.95) Roasted turkey, lettuce, plum tomatoes, smoked mozzarella, & roasted garlic ketchup. 9. THE BISTRO ($7.45) Fresh hot roast beef, sauteed onions, cheddar cheese with our zesty bistro sauce. 10. PORTOBELLO BURGER ($6.95) Portabello Mushrooms, Tomatoes, Arugala, Smoked Mozzarella, Roasted Garlic Ketchup. 11. BISON BURGER ($7.95) 6oz Beef with lettuce and tomato. 12. SALMON STEAK ($7.95) Grilled Salmon, caramelized onions & romaine lettuce. 13. VEGGIE BURGER ($6.95) 6oz veggie burger with Romaine lettuce & tomatoes. 1. HOUSE GARDEN SALAD ($5.95) Shredded carrots, cucumbers, cherry tomatoes over romaine. 2. CAESAR SALAD ($6.45) Cherry tomatoes, shaved romano & homemade croutons over romaine. 3. 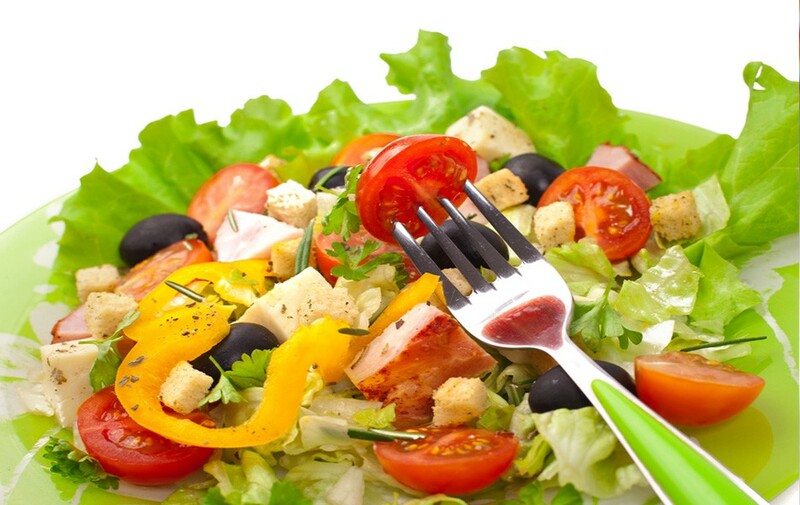 GREEK SALAD ($7.95) Feta cheese, cucumbers, cherry tomatoes, red onions, & Kalamata olives over mixed greens. 4. 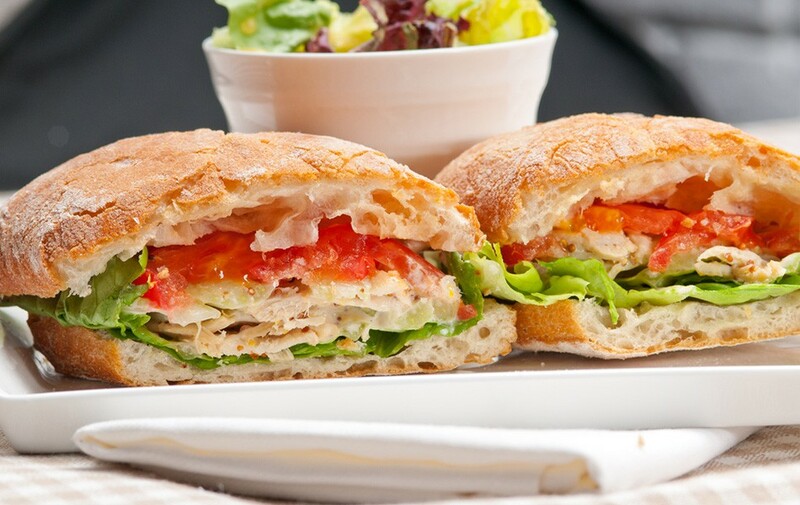 GRILLED CHICKEN CAESAR ($7.95) Grilled chicken over our classic Caesar Salad with all the fixin's. 5. ORIENTAL CHICKEN SALAD ($7.95) Marinated chicken, Oriental vegetables, crunchy noodles & sesame ginger dressing over our House Garden Salad. 6. CAJUN CHICKEN SALAD ($7.95) Cajun Chicken & roasted corn salad over mixed greens. 7. COBB SALAD ($8.95) Oven roasted turkey or chicken, plum tomatoes, cucumbers, olives, bacon, corn, avocado, & blue cheese dressing over mixed greens. 8. TUNA SALAD PLATTER ($8.45) Traditional tuna salad, cherry tomatoes, shredded carrots & sliced cucumbers served over our House Garden Salad. 9. CHICKEN SALAD PLATTER ($8.45) Homemade chicken platter, cherry tomatoes, shredded carrots & cucumbers served over mixed greens. A crispy half Moon Tortilla filled with Monterey Jack & Cheddar & your choice of ingredients. Our 16oz. Low-Calorie Smoothies....Nothin' Like 'em Anywhere! 1. VERY BERRY COOL ($4.00) A Boysenberry Blueberry Blend that is rich, fruity, and oh yes! Berrrry Cool. 2. MANGO MANIA ($4.45) The Mango, Pineapple Mingle is mighty movin'. 3. GOING BANANAS ($4.45) The Orange Banana elixir comination is foods for the Gods and you, too!. 4. THE BERRY BLUES ($4.00) Apple Juic, Blueberries and Banana jazz up this trio. 5. RAINBOW SYMPHONY ($5.45) A pallette of fruit and juices! This frosty cocktail includes strawberries, blueberries, bananas, peaches, raspberries, boysenberries, and coconut. 6. TROPICAL PASSION ($4.45) Pineapple juice, peach, banana, and cocunut fusion make this a heavenly treat. 7. ROCKIN RAZZ ($4.45) A fruit bowl of fruit flavor complement this cranberry juice, strawberry & raspberry concoction. 8. BERRYONE ($5.95) "Berrything" except the kitchen sink....This is the ultimateb raspberries, blueberries, boysenberries, strawberries, & banana. 9. PEACHY KEEN ($4.45) This is the peach lover's delight. Made with peach, peach nectar & fresh banana. This one is sure to please. 10. THE POWER PUMP ($4.45) This smoothie is made to get you replenished and ready to go. Made with mango & papaya juice. Ready to pump? 1. MUSCLE MILK, MET-RX, LEAN BODY, ISOPURE ZERO-CARB ($3.95 ) 32oz. 2. ADD FRUIT ($1.00) - Strawberries, raspberries/blueberries, bananas. 4. ADD SUPPLEMENTS ($1.00) Creatine, ginseng, glutamine, ginko biloba, flaxseed, echinacea, vitamin c, spirulina. 18. TURKEY CHILI (Sm. $5.95) (Lg. $8.95 ) Served over rice. 1. YOUR FRUITS Grapefruit, orange, apple, pear. 2. YOUR VEGGIES Carrot, celery, beet, parsley, spinach,wheatgrass juice, ginger. 3. WHEAT GRASS ($2.00) 1oz. shot. 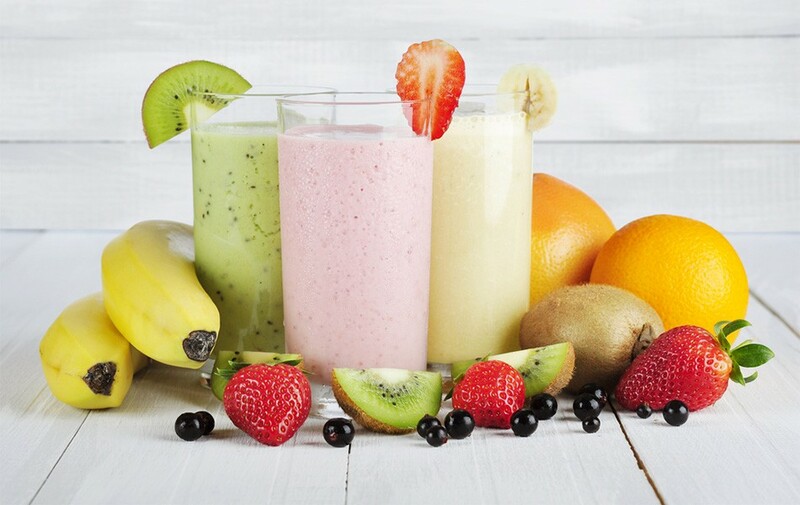 * Mix and match fruits and veggies to create your own combo. 1. SQUEAKY GREEN Carrots, celery, spinach, and parsley. 2. STRESS BUSTER Spinach, broccoli, and tomato. 3. GINGER-ZINGER Carrot, honey, lime, fresh ginger root. 4. TART AND TANGY Pink Grapefruit, carrots, apples, and orange juice. 5. LIVE WIRE Orange, apple, pear, and honey. 6. DETOX GREEN MACHINE Spinach, wheat grass, celery, parsley, apples, and pears.